I'm a busy mom of 2 that loves everything about hair and skincare products! I still have much to learn about makeup but it's a fun journey too. 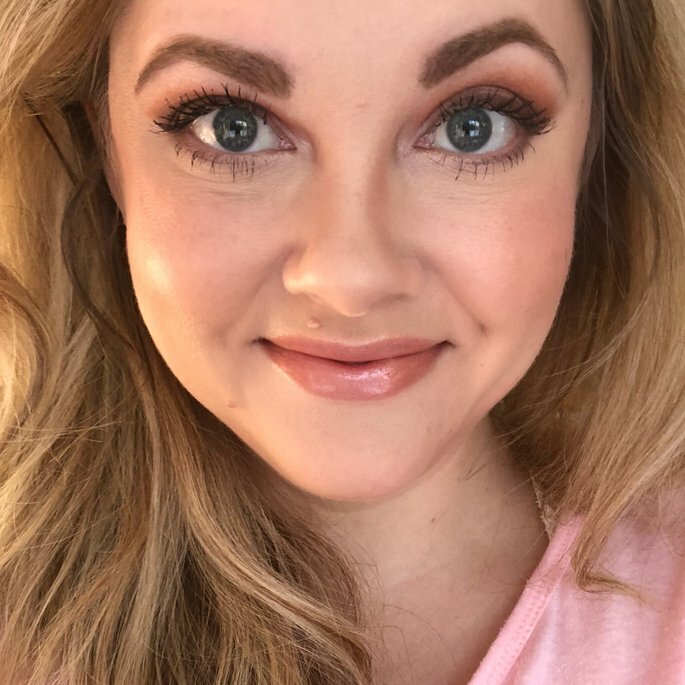 I spend most of my days in a either busy, hot hospital or chasing my kids so I definitely look forward to trying out and finding new products that fit my hectic lifestyle! This serum is AMAZING. I love the glass and pump packaging. I’ve consistently used it for a month now, and my skin is plump, firm, and glowing. It’s a little too heavy under makeup with moisturizer so I’m using it once per day in the evening. Highly recommend! My Daisy loves her BarkBox! I swear, she knows when it comes! It’s the craziest thing. The treats are wonderful, and I never run out. The toys are always a big hit with her too, although she sometimes chews them up pretty quickly. I only took a star away because they do not have an option to cancel if something comes up. There is no Month to Month option, you are flat out stuck for 6-12 months. Aside from that, it’s a wonderfully fun sub. To just be honest, I have a bad habit of leaving dinner pits and pans on the stove until the next day despite how many times I say I won’t. That means they’re so hard to get clean. The claims on this dish soap to remove set in food are true! A little hot water and 5 minutes and UT wipes right off. Love this soap! I love this detergent so much. I’ve been using it for at least 10 years. My clothes are always clean and they smell so good! It’s slightly more expensive but the scent is intoxicating and it lasts from wash to wear. I’ll keep buying for another 10 years! My ride or die cleanser. I always try other ones with prettier packaging, or fun smells, or some other quality that makes it sound as though it’ll be better than my drugstore pick, but every time I come back to this. It never dries my face out, my face never feels tight, and it’s never flaky. It’s just GOOD. I am OBSESSED. This is now a staple in our house! We eat it at least twice a week. The flavor is amazing, and we’ve been making black bean and corn quinoa bowls with baked chicken and salsa. It’s so good! And the prep is less than 15 minutes. Will buy this forever! Thank you so much for the opportunity to test it! I cannot rave about this eye cream enough! I have combination skin that somehow is oily on the outsides of my nose but dry on the outer corner of my eyes and cheekbones. This product manages to perfectly hydrate both areas and my makeup looks so pretty over it. It seems to have helped with texture as well. I will definitely purchase again! This eye cream is quite nice. It definitely worked to reduce puffiness, and it's hydrating. However, I used an entire jar and didn't feel it did anything for my fine lines. At 31 I'm starting to get serious about anti-aging and this didn't help with that despite claiming it would. I also don't like that it comes in jar packaging, but that wouldn't have been a complete deal breaker if it had helped with fine lines. Overall, I probably would not purchase it again, and I much prefer my Banana Bright eye cream. I am really impressed with this foundation! It applies and looks so similar to the MAC Studio Fix Fluid. It doesn't have a funky smell, either. I have combination skin and I didn't notice it getting oily, OR sticking to any dry patches and that's really hard to accomplish. It didn't settle in my fine lines and it still looked great after a 12 hour shift. I am noticing some say they had an issue with it clinging to their dry patches a little bit, but I didn't notice that and I tried it with and without a hydrating primer (Becca). I will definitely purchase it again!